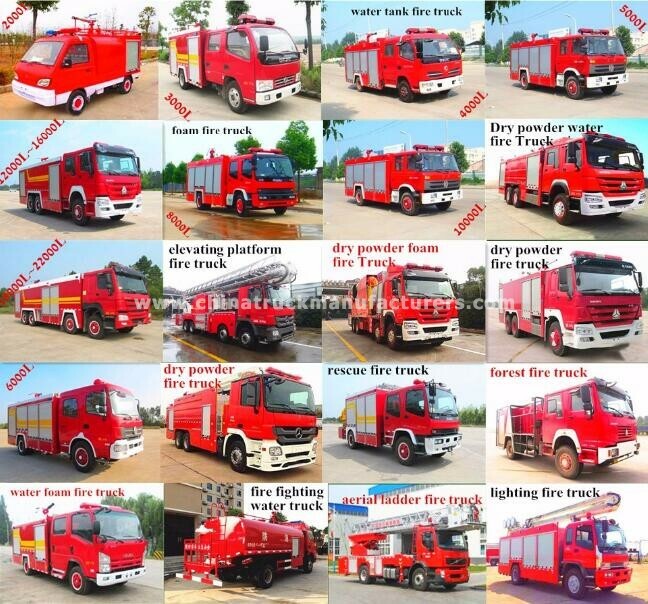 Fire Fighting Truck, Fire engine Truck, Fire rescue tank truck, which are mainly used in the city or community in case the accidental fire. 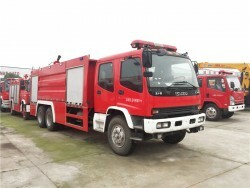 Currently the fire truck has three main design. 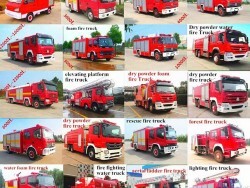 water fire truck, foam fire truck,powder fire fighting truck. 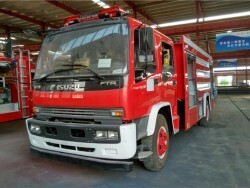 The fire fighting truck.The truck from the crew compartment, the water tank (body), pump house, equipment boxes, out of the water pump and foam system, fire cannons, electronic sirens, lights ,Equipment compartment door curtain made of aluminum alloy doors , roller, chute -oriented, open and close the lightweight, low noise ; equipment on both sides of the rear of the car and turn the pedal plate , using gas springs, door stopper double ended fixed , safe and reliable performance ;and other major components. 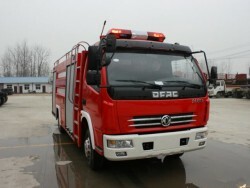 Our company is a professional manufacturer of Special Automobiles in China. 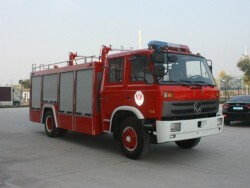 We can provide you all kinds of fire fighting truck with the best quality and best prices according to your requests. 1. 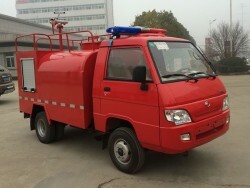 Type: Water tank fire truck,Foam fire fighting truck,Dry powder fire truck,Water foam combination fire truck,Dry powder foam combination fire truck,Fire fighting water tank truck,Dry powder water combination fire truck,Forest fire truck,Rescue fire truck,Elevating platform fire truck,Smoke exhauster fire truck,Communications command fire truck,water tower fire truck,Aerial ladder fire truck,Lighting fire truck. 2. Drive model: 4*2, 4*4, 6*4, 6*6;8*4. 4.. 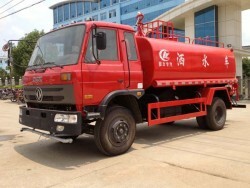 Optional Chassis Brand: Dongfeng, Fonton, JAC,Sinotruk,Steyr,Shacman,FAW, Auman,Nissan and North Benz etc. 5. 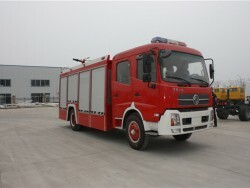 Engine: with brand of Dongfeng Cummins(190HP-375HP),weichai (270HP-380HP) , Sinotruck (266HP-375HP), Yuchai (290HP-375HP) etc. 6. Right/Left hand drive, with A/C,double row. 7. Emission Standard: Euro II/EuroIII/EuroIV/EuroV. 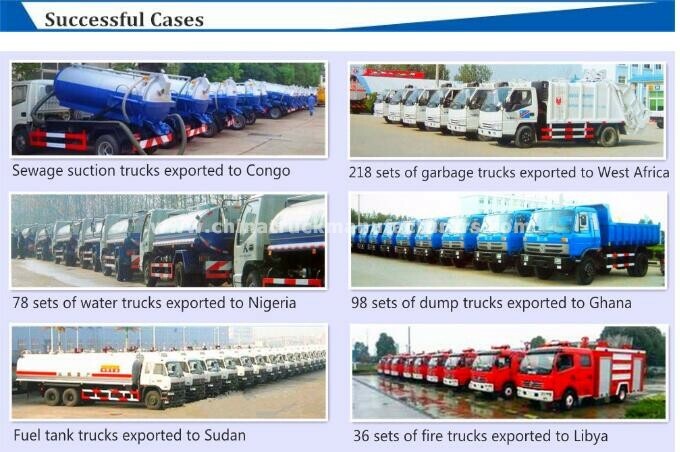 There are totally 8,000 workers in factory and can supply 800 types of trucks. In 2014, our total sales revenue reach $300 million. 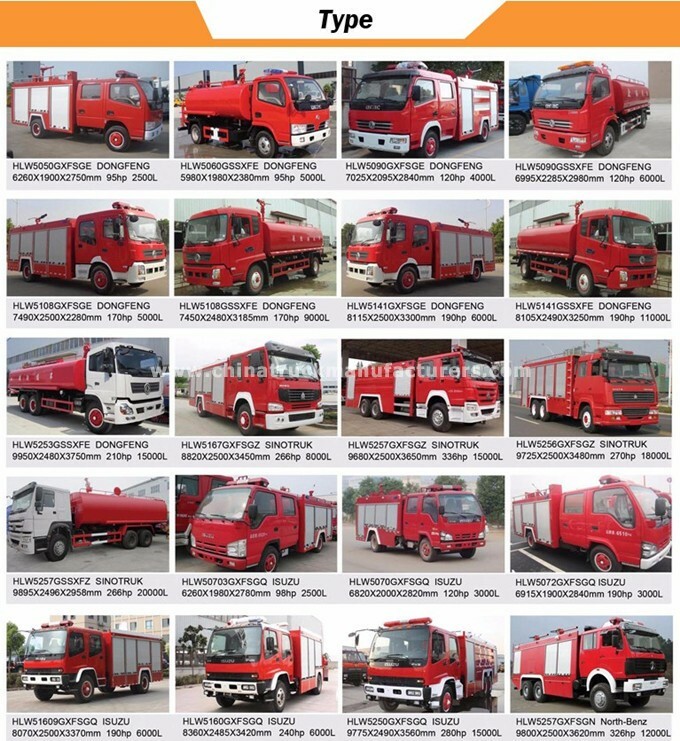 Over the past 11 years, our group made a great achievements in the special vehicle circle, our products have been sold to many country around the world, such as Nigeria, Vietnam, Garner, Uganda, Singapore, Malaysia, Congo, Cameroon etc. 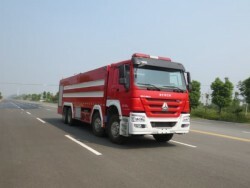 There're many type trucks in our company, because we built up a long cooperate relationship with many famous brand chassis manufacturer, such as Sinotruk, Dongfeng, Foton, Shacman, JAC, JMC, FAW etc. Look forward to the future, we are confident, we truct we can do better! We will pay more attention to the quality of the products, that's what we always do! 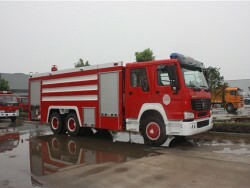 2, Fire Fighting Foam Truck will be cleaned and covered with wax before delivery. 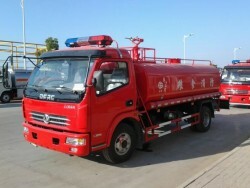 3, Fire Fighting Foam Truck will be covered by waterproof cloth at the departure port. 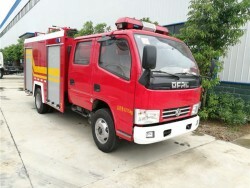 5,some small Fire Fighting Foam Truck can be put into container according to its overall dimensions. 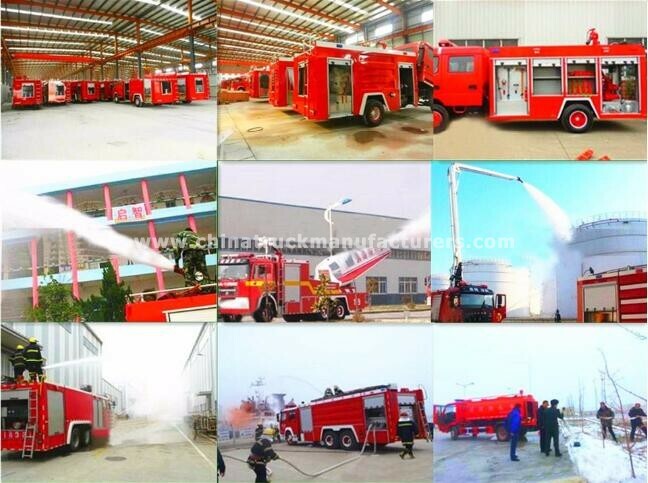 1, How to purchase the Fire Fighting Foam Truck from your company? You can choose the model from our website, also you can tell our sales manger your specific requirements and we will recommend the suitable model to you. After confirming the model and price, we can sign the contract. 2, How to ensure product quality? Firstly, we passed the international quality system certification. Secondly, Bossgoo Group has conducted field certification for our factory. Finally, You can entrust third party individuals or organizations to inspect our products before delivery. 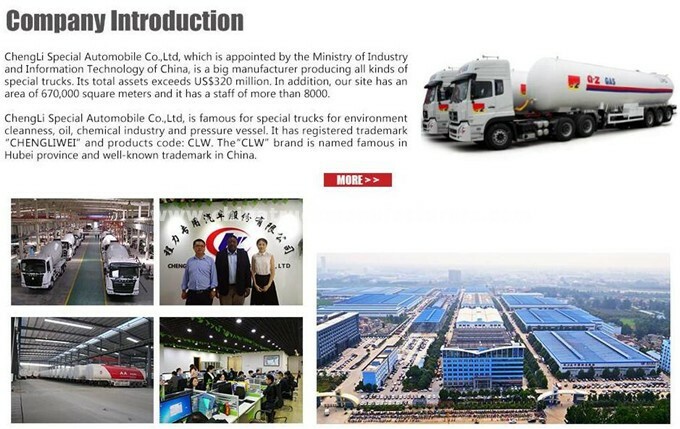 3, How to visit your factory? After you arriving at China, you can fly to Wuhan airport. 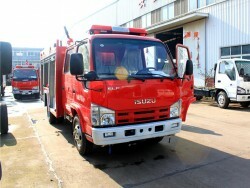 Wuhan airport is located in Wuhan City, Hubei Province. Our driver will meet you at Wuhan airport and take you to our city by car.